After the Islanders winning three playoff games in a row, no one thought this series with the Lightning would be easy all of a sudden, right? Forgive some of the Islanders fans if they were cocky to think that way. It’s rare they saw a team win three playoff games in a row. The Lightning brought reality to the Islanders fans Saturday afternoon. They were off to a blazing start in their 4-1 Game 2 victory over the Islanders, and they never let up. The Islanders had to know the Lightning were going to play with desperation. The Lightning couldn’t afford to go to the Barclays Center down by two in front of a raucous Islanders crowd. They also had pride to lose both games at their home ice. This is a team that has Stanley Cup aspirations like the Islanders. The defending Eastern Conference champions played like they had something to prove. The Islanders had a good reminder this series is not going to be easy after dominating the Lightning in Game 1. To be fair to the Islanders, they were a tired team in Game 2. It showed when they were one step behind the puck against the Lightning. The Lightning were able to push them around on the ice. Remember the Islanders were coming off a grueling series against the Panthers, which the games were tight. That likely got the best of them in Game 2. They were able to win Game 1 against the Lightning on adrenaline. There is no reason to panic about Game 2. The Islanders did what they have to do in winning a game at Tampa. Now, they need to win one more game at Tampa. The thought is Lightning will likely win one road game at Brooklyn when the series shifts to Amalie Arena Sunday afternoon. With the way this is going, a long series is in the making. Think seven games at best. The Islanders have the goaltending to win some games in this series with the play of Thomas Greiss. The Lightning have scoring depth and speed to win some games against the Islanders. 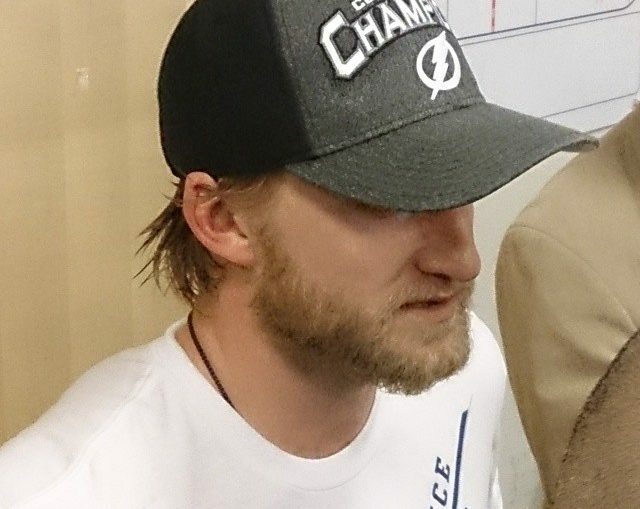 They have not missed a beat with Steve Stamkos sidelined 1-3 months after surgery for a blood clot. Both teams have showed they can grind it out. The Islanders have nothing to be scared of when it comes to play the Lightning. Not only they can play with them, but they won the season series at 2-1. It may not mean much, but for confidence purposes, it means something. Ask the Lightning. Last year, they played the Rangers well in the regular season, and it helped set the foundation to win the series, especially Game 7 at MSG. That’s the one thing the Islanders got going for them. Since they match up well against the Lightning, they have a chance to beat them in a playoff series. This is not to say the Lightning are a pushover. They are not. They can create offense right away. They can make impact faster than a DSL account as they showed in Game 2 and even when they were off to a 1-0 lead in Game 1. They are a team the Islanders can’t take it easy. The winner of this series will earn it. It will be a grind-it-out series. It will be about the strongest that survive. It will be interesting how this series plays out. Will this be about a grind-it-out team outworking a faster pace team or vice versa? That will be a great case study. This is still going to be a feeling-out process heading to Game 3. We won’t know much about this series until Game 5. That should be telling then who may have the edge. Right now, this seems evenly-matched. Both teams took each other’s best shot. It’s still early. We will see what the Lightning do in the next two games at the Barclays Center. One thing for sure. They won’t be playing in a sterile environment like Madison Square Garden last year. The Islanders do a good job of feeding off from their crowd. They showed that against the Panthers in the first round, and they did it against the Capitals last year. All signs are pointing to Game 7 with the way things are going. It would be a fitting ending to what should be a great theater.